Looking For the Best Expensive Drones? We’ve got all you need to know! Here’s The Best To Impress! You know when you see an amazing photo, whether it’s a breathtaking aerial view of a tropical island or a sports player dramatically sliding across a field, and you wonder – how did the photographer do that!? But before we go further, the most expensive drone you (can sort) buy costs a whopping $250,000! It’s a combination of a commercial custom-built drone with 12 rotors, fitted with a cinema quality camera. Read on to see some of the most amazing drone footage you will ever witness! Why do drones get so expensive? What Can Expensive Drones Help You Do? You know what I’m talking about… The photo not only makes you do a double-take, but you have to get closer to examine the intricate details. We’ve compiled a list of the best, most expensive drones available on the market so you can compare features and see which ones are worth your time. But first… just for fun, let’s take a look at the most expensive drone on the market. At DronesBuy.net we love researching and sharing great stuff about drones in general, this is one of the bits of information we’ve found about very freaking expensive quadcopters and drones! If you want to really see what the most expensive drone looks like, have a look a the footage below. The guys from Brain Farm Cinema strapped a high-speed camera (the Phantom Flex 4K) to a commercial drone and captured some amazing footage. The total price of that combination is upwards of $250,000 which makes sure it easily qualifies for the most expensive drone ever. This production company is one of the global leaders for capturing ultra high quality, action sports and documentary cinematic digital video has done something no one else has so far. The footage released from this combination is of course absolutely stunning. You just need to make sure you don’t have a drone crash when you’re flying this $250,000 every expensive drone combo. In reality, these guys had been trying to achieve this for quite some time (more than years! ), but the problem was that the camera was much too heavy (30 pounds) to actually get this to be flown on a drone. Of course, the recent years have seen some stunning advancements in drone technology, make sure that today’s drones can easily take the weights of this camera. The commercial drone used is a custom build of an industrial Aerigon Mk II drone, which is meant for heavy lifting and industrial or commercial usage. Once you’ve seen the above, you’re never going to look at drones as pricey anymore … and can now easily be able to justify the $250,000+ price tag on that drone. Now that you’ve seen the results you can get with such a drone, let’s take you through a quick list of the most expensive drones you can buy on Amazon. Now – if you’re looking to find the most expensive drone money can buy right now, we created this list of the 10 most expensive drones money can buy. Drones come in all shapes and sizes. It is possible to find the cheapest and most expensive drones that money can buy on the internet these days. You can buy a drone at less than $25. Yet the most expensive drone has been quoted to cost upwards of $250,000. Whilst you may be wondering what could cost so much, you need to understand that custom development and engineering of drones for very specific purposes is a very niche job. 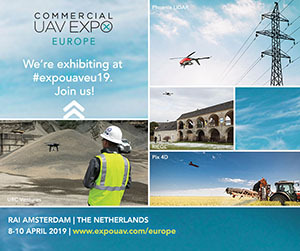 Besides the manufacturing costs, the hours by specialized engineering people, technology experts, aviation consultants, and photography experts – a great drone requires a combination of all of these – all of which is a very high tech business. That’s why you’re likely to keep seeing a piece of news about the most expensive drone title coming often, with the record price tag always climbing higher and higher. Just like a custom developed drone will need all of these experts and consultants – so do mass produced drones. 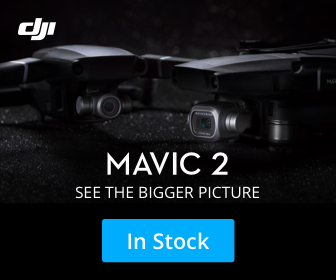 Companies like DJI who sell such drones as the DJI Mavic Pro for which we’ve written an epic review, does not take the title of most expensive drone for a particular reason. The reason that these drones cost a very reasonable price of about a thousand bucks is simple. The millions (yes millions) of dollars which go into the research, development, and manufacturing of these drones can be spread over the tens of thousands of units sold over the lifetime of that drone. But first, let’s take a closer look at all the unique activities you can do with an aerial device. The list of things you can accomplish with the RIGHT drone are exciting. Imagine capturing breathtaking views from an angle few people ever see. Think of the things you could do! Drones are definitely on trend to become a huge part of everyday life in the near future. Aerial views – great for real estate sales, wilderness viewing, inspections etc. Photography – imagine the action shots you could get! Whales, sports players, birds… you name it. With the right device, you can capture it. Save lives – wilderness rescue. It can be much more effective than sending out a search party. Take any one of those points and really consider what you can do. It’s to create a lucrative business out of any of these. Unmanned aerial devices are going to be a big part of our future, and it’s no wonder everyone wants to be a part of that! The biggest concerns with drones are with privacy right now, given that the drone can easily access the personal space of other people, without their permission, some people are concerned about protecting their privacy. So if you plan to become a drone pilot, always keep in mind these privacy concerns. But before you buy a drone – get clear on the reason you want to use it – since some features will be much more important than others. Let’s consider which features of a drone will affect what you can do with it. Of course, you can’t accomplish any of those cool activities unless you have an aerial device with the right features. We’ve tested dozens of drones and reviewed the absolute best ones here. Ready to see which ones made the cut? Drones are a great way to capture images from high up in the air for many purposes. The market is saturated with low-end devices, but their performance is not the best and their features won’t be enough to accomplish bigger tasks. If you’re ready to invest in a high-end aerial device, we’ve gathered a list of the very best for you to compare here. Take a look and choose the best drone for you. Why do the most costly drones get so expensive? These are typically very specialized drones meant to perform a very specific function. As an example, filmmakers and producers will place have very high demands when it comes to the features of a drone. The production of these drones is typically a highly specialized manufacturing process, requiring precision, premium materials and high attention to details during the quality assurance and testing phases to ensure the delivery that these costly drones are a good investment in the industry they cater to. Recommend Reading: Which Are the 5 Best Drone Kits from Amazon (2018)? Besides your typical filming capabilities, these most highly-priced drones are able to carry heavy payloads, either in terms of equipment, or else payloads which will require performing cinematic stunts. One of the reasons why the Freefly Alta 8 is regarded as one of the most expensive drones on the market is because of the impeccable craftsmanship. This pricey drone, now has, even more, rotors and can accommodate a payload of up to 20 lbs, which can help any movie producer to capture scenes in a manner like no other. 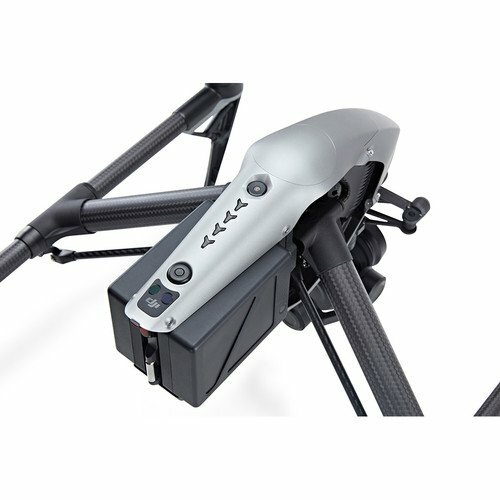 The Alta 8 comes with more advanced lifting power than most pricey camera drones, and even surpasses its predecessor – the Alta 6. The Alta 8 in fact, has 8 highly-efficient 18-inch propellers generating incredible lift, giving it an optimized propulsion system, whilst a lightweight carbon fiber frame help to create a technological marvel with an exceptional flight time with the ability to carry impressive payloads. This multirotor can carry a transmitter that has a prime lens attached, and also a cinema camera with the greatest of ease. You can now lift substantially heavier cameras like the RED, accompanied with a follow focus for your master prime lens. The increased payload gives you greater control of the drone and even more focus than you could ever imagine. Another feature of the Freefly Alta 8 that we like is the Synapse light controller. It ensures that the user has a smooth flight, and is one of the best that cinematographers can ask for today. DJI has always been associated with drones, particularly, commercial, expensive drones. The beauty of this company like any tech manufacturing company is that they iterate and iterate on each of their drone models. Always adding. Always improving. You’ll see in this article that one of the drones we will mention often is the DJI Inspire series. So we wanted to start off the DJI expensive drones list with the latest and greatest in line if Inspire drones. That’s the DJI Inspire 2. We’ve mentioned the DJI Inspire 1 below because this line of drones is defacto when it comes to commercial, expensive drones. It’s just the go-to piece of equipment for professional filming using a drone. Let’s got through a few of the highlights of this beast of a drone. Zenmuse X5S (you might also want to look at the Zenmuse X7 which has just been released recently) – the Zenmuse is the flagship camera of DJI, which is meant to take your filming to a whole new level. It has a 360 degrees rotating gimbal and uses CineCore 2.1 for Hollywood-grade filmmaking capabilities. Flight time: 27 minutes – with such a significant piece of equipment, flight-time of 27 minutes is a really big deal. 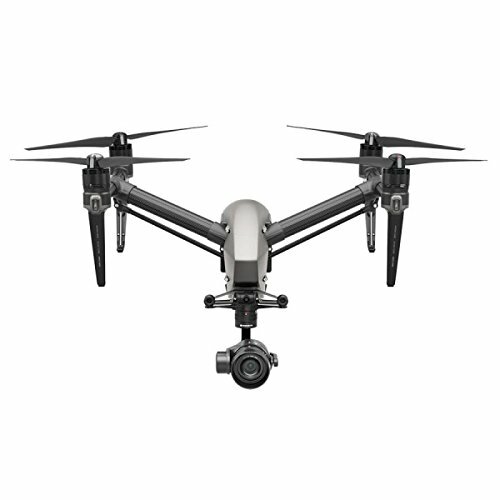 The DJI Inspire series use carbon-fiber manufacturing, to create strength whilst staying light-weight. Speed: 94Km/h – if you’re going to be filming high-speed maneuvers, particularly in sports, you need your drone to be able to keep up with the action. Your Inspire 2 will have no problem doing that, maxing out at 94/Km/h, it will have no problem chasing after your fastest subjects. 4K/5.2K video – top expensive drones such as this one will produce top-notch film quality to match. This Inspire with its Zenmuse X5S (upgradeable if you’ll need to with the X7 or above), you’ve got all the quality you need. We just love to have a look at all of the cinematic aerial shots you can get with the Inspire 2, so here’s a nice video from DJI showing you what the DJI Inspire 2 can achieve. Ready to get this from Amazon? We’ve chosen and found a bundle of the most essential accessories you’ll need with the inspire. 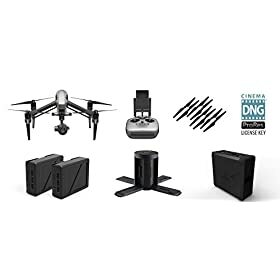 This bundle can be bought from Amazon, for all of the customer service you can expect from them, but will be sold directly to you by DJI, so no additional 3rd party dealers involved here. DJI has become famous for producing some of the best drones available on the market. This one though just tops them all and makes it into our most expensive drone list. Let’s see this Introducing the Inspire 1 video. This Inspire 1 RAW Drone comes with unique antenna directional system that allows the user to control it in more precise motions. The new prop and installation kits on this pricey drone feature a smoother, even more reliable locking mechanism for the 4 props which drastically reduces the abrasion that is common during propeller installation, thus increasing the drone and propeller’s overall service life. It also has a shock absorbing landing system that will protect the drone just in case it falls or hits a tree or other object while being navigated. It’s quite a costly drone for a reason. It uses brushless motors pioneered by DJI with integrating curved magnets that fit exactly around the edge of each motor. The difficulty to produce these motors and magnets contribute to the high price of this drones, but these magnets eliminate airflow gaps within the motor, contributing to significantly increased motor and battery efficiency. In terms of filming, the DJI Inspire 1 RAW is pretty much everything that you would want in a premium drone. It comes with additional equipment like extra chargers, DJI self-tightening propelling sets and even an extra remote controller. This drone basically packs everything that a movie maker or videographer would need to be ready to go. Just to understand how complete this package, it also includes a microfiber cleaning cloth for the drone itself. It also comes with 2 Apple iPad Mini 32 GB, which allows you to control the functionality of the unit. 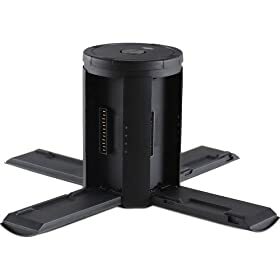 In all, it is a very thoughtful device and not one that would leave you having to order some parts or items separately. The DJI Inspire 1 RAW is the smallest, easiest professional aerial filmmaking platforms in the world. They combine DJI's unparalleled leadership in aerial technology with world-class M4/3 imaging capabilities. 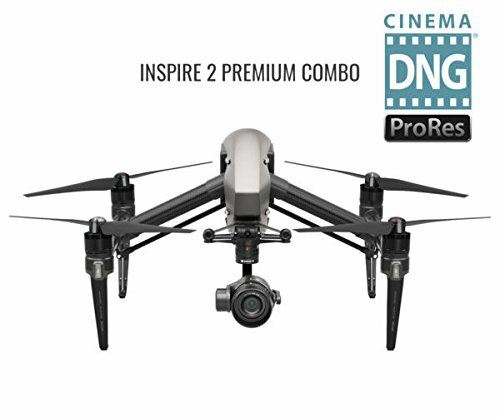 Whether you are a professional photographer or a Hollywood filmmaker, the Inspire 1 RAW is ready to take your work to new heights. Use the Inspire 1 RAW just like you would a camera, with a shutter button for stills and a record button for video built into the remote control. It also features a jog dial that allows you to change camera settings quickly, and customizable buttons for you to personalize. Plug the DJI Focus into the remote control to extend its reach as far as the Inspire 1 RAW flies. This is definitely one of the best drones 2016 had to offer. It remains so for 2017 and yes it is also of the most expensive drones money can buy. From its sleek and sophisticated packaging to the elegant finish and black ‘swagger’ that comes with the drone. You simply can’t help but want to get your hands on it. However, it really isn’t just about looks with this particular drone. It comes with the possibility to be controlled from distances up to 2km away. This is immensely useful to any director that is trying to get footage that no other camera can give you. While this drone isn’t exactly the cheapest at over $8000, it definitely gives you good value for your money. 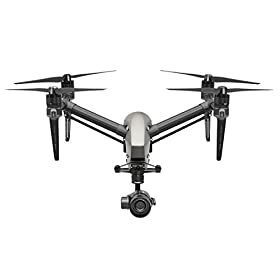 It also comes with a Lightbridge digital streaming system that has become a trademark with the DJI brand and gives you the benefit of viewing live footage of up to 720p. The main video with high resolution is also being recorded simultaneously on your microSD card. With a 4k UHD video recording capability and a 3 axis gimbal system, you really want nothing more in a drone. This machine also eliminates the problem of unstable indoor flights with its vision positioning system. The battery and rechargeable controller come ready to use, so you can start to fly the moment you take it out of the box. Another expensive drone that has dominated the market since it’s launch in late 2016 is this ground-breaking and unit from DJI, the most incredible, collapsible, portable DJI Mavic Pro. The Mavic Pro was the first foldable drone following the massive success of the DJI Phantom series of drones. 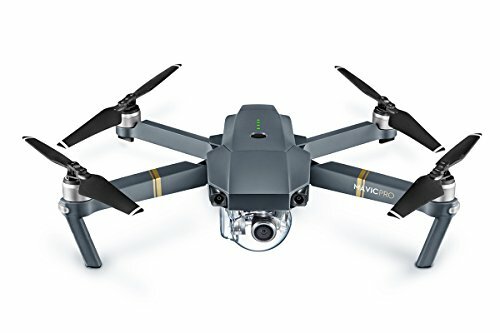 We’ve already reviewed the Mavic Pro separately here but as far as pricey drones go, this is another which makes it on the list. You can see that the DJI brand completely dominates our list of expensive drones, and this is because they truly give the user all that is needed in premium drone and UAV capabilities. In fact any Google search for drones is going to be domainated by DJI drones most times. 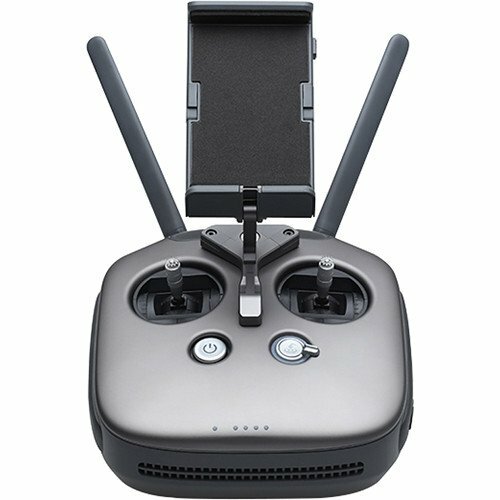 The DJI Mavic Pro has an incredible folding mechanism unlike no other drones which allows it collapse it’s size down to as small as a bottle of water, making it small enough to make it incredibly portable, ideal for the avid traveller, adventurer and those who don’t want to go anywhere without their drone companion. Guidance and vision positioning paired with GPS and GLONASS ensures precise positioning both indoors and outdoors. One last great thing about the Mavic is that you can use the DJI app with your phone and turn the Mavic into an iPhone controlled drone! With the integration of the app, you can very easily share any photos or videos you’ve shot to Facebook, Twitter or your favorite social networks. When reading through a list of the most expensive drones in the market, you should be expecting to see it dominated by DJI drones. This is not in any way to give the company a bad reputation, but it is a testament to the superb quality that they bring with every single drone that they release into the market. One of the best features of this drone is that its 1080 pixel camera still manages to get better footage than a lot of its competitors on the market currently. It also allows the user to stream HD video live while the unit is floating around in the sky. This will allow you to know just what your picture would look like in HD without having to bring the drone back to the ground. DJI also included more flight power to this model, and it seems a lot more secure with its propellers that are self-tightening. Your stills will be crystal clear when recording with this camera, and you can be assured of up to 25 minutes flight time from the 5200 mAh battery. This is another one of the most expensive drones with cameras that you can get this year. Also, if you are searching for the best drones 2016 has to offer, then this should definitely be at the top of your list. The most amazing feature of this particular drone is that it comes with a ground station that helps you to organize your work and your shots just the way you want. Even though it is still from the DJI brand, it gives you a totally different feeling from what you may be used to. 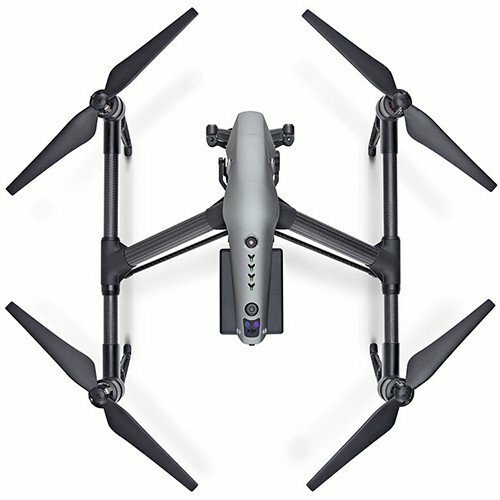 It captures video quality of up to 4k or 1080p, and additionally allows the user take 16MP still photos, which is very impressive for a modern drone. The unit also comes with a 3 axis gimbal that allows you to stabilise your camera and get rid of shaky shots. The battery of this drone can last up to 25 minutes in the air. One of the basic requirements of an expensive drone is that it should be able to carry heavier payloads. This is definitely one drone that fits into this category. However, that will not be the feature that impresses you the most with this drone. This is one quadcopter that is designed specifically for developers. It also has the trademark DJI guidance platform that will ensure your flight is smooth and seamless. With a maximum flight time of 25 minutes, you will also find that the DJI Matrice 100 drone has just enough battery life for you. It comes with a TB48D Square power battery that gives you ample power supply. 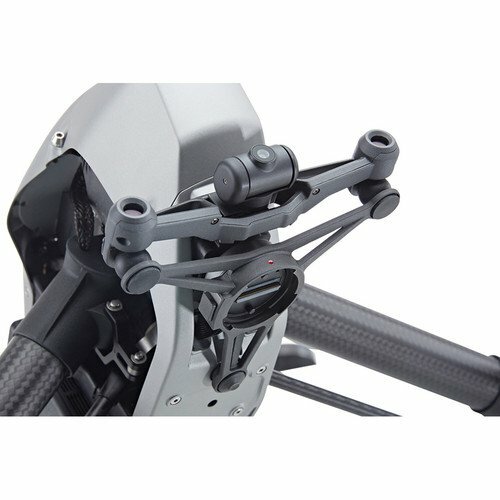 Its black and shiny body finish is sure to make you fall in love, and its landing skid which is retractable gives you an even better view of the camera lens. DJI have also actually created a bundle which is speficic for farming – the Smarter Farming bundle. It’s a bundle of a number of accessories which are meant specifically for using a Matrice with such software as the InFlight data mapper, the InField desktop software and plenty more. Complete Flight Platform - Start flying quickly, and enjoy stable, reliable flight. Your Matrice 100 platform has all of DJI's easy-to-fly technology built in, and includes the flight controller, propulsion system, GPS, DJI Lightbridge, a dedicated remote controller, and a rechargeable battery. This system automatically manages the most complex tasks required for flight, so you can focus on your work. Fully Programmable - Customize and tailor your flight platform by using the DJI SDK. Develop a system for any use, and revolutionize industries by applying your knowledge and skills to cutting-edge flight technology. Teach your Matrice 100 how to behave and what to do. Program customized commands, tell it how and where to fly, and gather information from the entire system in real time. Long, Extendable Flight Time - A lightweight frame and efficient motors give you up to 40 minutes* of flight time. For greater flexibility when adding additional payload, an optional second battery can be mounted into a dedicated power slot. *Flight times vary based on payload and flight conditions, and the maximum 40 minute flight time tested when hovering with dual TB48D batteries and no additional payload. Still looking for the most expensive drone from Amazon? We’ve got a few more for you! Finally, a drone on our list of pricey drones that isn’t from DJI! Our number 10 is one of the most expensive drones with a camera, and comes at over $4000 with a 4k resolution and 720p HD live streaming. 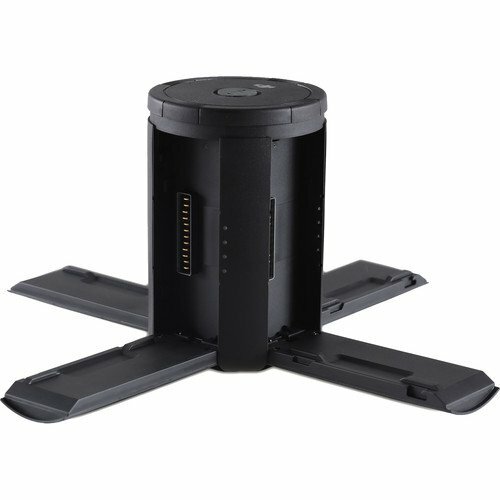 In terms of picture quality, there are very few drones on the market that can compete with this unit. It is no wonder this brand has been established as one of the best drones in terms of picture quality. It also gives you 12 MP of still images, and can allow the user to easily integrate a camera into its 3-axis stabilizing gimbal. This is yet another drone that makes it to our list of top 10 most expensive drones available on the market currently. Yuneec, besides DJI is another drone company known for its manufacturing of premium quality drones with a high price tag. This is because like DJI, Yuneec leave nothing to chance. The Drone tornado is a multicopter designed for professionals. It is specifically aimed at aerial photography and videography professionals and hence the cost. 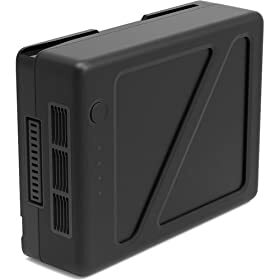 The price of the drones also includes and ST24 transmitter featuring an integrated 7″ Android device for live monitoring and OSD telemetry display. This drone bundle is ready-to-fly, includes a pre-bound transmitter, two flight batteries, a dual-battery charger, and an aluminum case. This pricey drone is a great choice for photo / video pros. Now that you’ve seen the most expensive drone list which you can actually purchase on Amazon, there’s quite a few more expensive drones out there. For sure, military drones cost much more than a measly $250,000! We’ve mentioned military drones quite a lot in our History of Drones article. The Predator (RQ-1) for example, is an American remotely piloted aircraft, which was the primary remotely piloted aircraft used for offensive operations by the USAF and the CIA in Afghanistan and the Pakistani tribal areas. The RQ-1 is quoted to cost $4.03 million per unit, with the cost of the full program being $2.38billion for 360 drones. Not a cheap drone by any measurement, even on a military budget! The current version of the Predator, the RQ-9, also known as Predator B. According to ” President’s Budget Submission, Aircraft Procurement, Volume 1 for Fiscal Year (FY) 2013″. The unit cost of the Predator RQ-9 is $16.9 million. The cost of the RQ-9 full-program is $11.8billion – again, even for a military budget, this is HUGE! We haven’t got specific information of which is the most expensive drone crash, but unfortunately, if you follow drone crash videos, you’ll see plenty of DJI Inspire crashed and accidents. At about $5000, that’s quite an expensive drone crash. But we’ve actually found instances of the Freefly Alta 8 crashing, which given that we believe this is the most expensive drone you can buy-off the shelf, that makes this: the most expensive drone crash! Unfortunately, we can’t see the actual crash, but the crashing sound and the “Weeeq weeq weeq weeeee” makes it pretty clear the ALTA 8 suffered a horrible fate. And the colleagues were not very empathizing I must say. These drones require big bucks, but they more than certainly will get the job done. With cutting edge technology, you can be sure than you are getting your money’s worth. What do you think of our most expensive drones list from Amazon? Let us know in the comments below.